On the 28th February, the National Assembly of the Republic of Armenia released a statement to commemorate the 30th Anniversary of the Sumgait Pogrom. This is an annual event, remembered throughout Armenia, Nagorno-Karabakh and the Armenian Diaspora. The attacks happened between 26th February and 1st March 1988, targeting ethnic Armenians living in the town of Sumgait, Azerbaijan. This attack coincided with the start of the Karabakh movement that called for the independence of the small landlocked region (now commonly referred to as Artsakh). The aggression was considered to have marked the violent phase in the Nagorno-Karabakh conflict, that sought to peacefully negotiate the region’s secession from Azerbaijan to Armenia. In the Armenian narrative, the 1988 pogrom has been linked to the 1915 Armenian Genocide perpetrated by the Ottoman Government, for its similar xenophobic anti-Armenian sentiments. 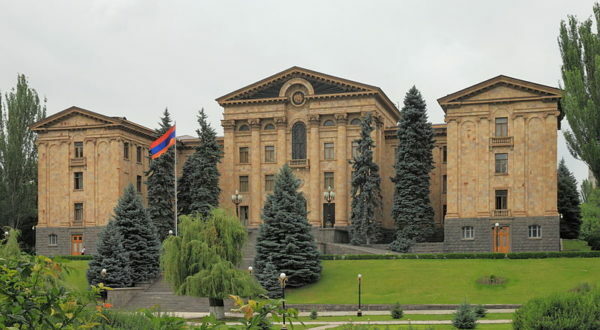 The statement by the National Assembly recounts the losses suffered by the Armenian community who were persecuted for their ethnicity, manifested in several attacks orchestrated by Azeri authorities. The National Assembly calls for universal condemnation of the continued atrocities committed by Azerbaijan against the Armenian people, that violates international law and threatens the stability of the region. It also calls upon universal action to stop any further Azeri hostility.